Common sense…Deadpool has it so you should too! 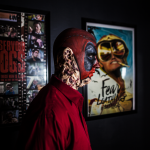 As a Special FX Makeup Artist, I am constantly trying to learn new techniques and get better and faster at my craft. Body painting, face painting, special fx, it’s all so fun yet each year there are new challenges that arise. I like to practice making new characters and try new techniques before booking appointments with clients who have crazy expectations. For weeks now I have been asking my boyfriend if he would let me paint him for practice and like the sweet guy he is, he said no. He didn’t want to be a Disney Princess or Transformer. But guess what? I not only got him to say yes BUT I also managed to get him to agree to a complete special fx makeover and to film it and make a time lapse and make a short film. Say whaaaaat? HOW??? 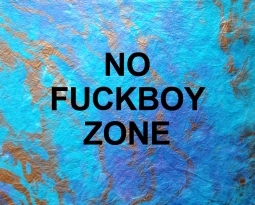 Well ladies, common sense. Give the man what he wants. And I know what my man likes, Deadpool! 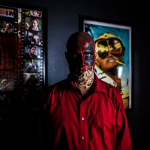 He has a major man crush on, Deadpool and is a huge fan of the Deadpool Comics and Marvel series. So what better way to get what I want than by giving him something that he wants, cool comic book action shots. Win win for both of us and lots of fun too. Halloween isn’t the only day of year anymore that people dress up. Festivals, events, and celebrations now seem to take over the entire fall season giving you more reasons to dress up and me more reasons to practice. 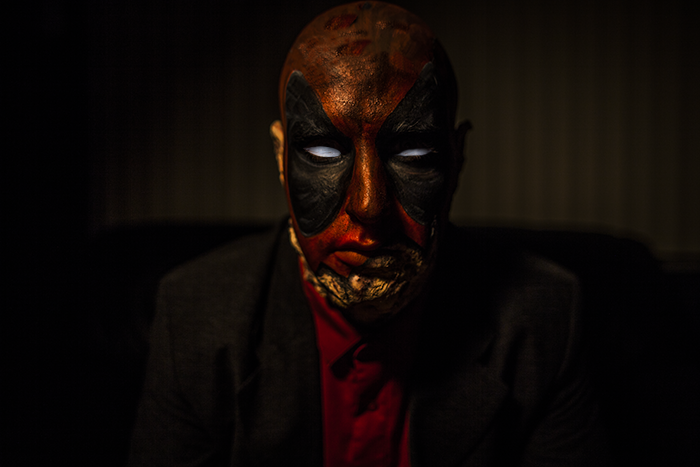 Nothing makes me happier than extreme makeovers and this year, I decided to kick off my makeovers the Marvel way, with Deadpool. Between the comic books, fan art, and new movie coming out in February 2016, this antihero has been portrayed in many different ways. 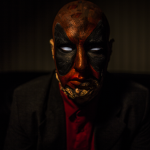 Inspired by a darker version of the original comic book Deadpool, I was able to transform my boyfriend, Andrew Colton, into the real life antihero for a short film makeover trial and time lapse video as practice for our actual short film. Unfortunately, sometimes even the best of plans run into problems and in this case, I ran into a problem with detail. After applying the bald cap and fake skin, I realized that Deadpool’s ears are not exposed with the mask on. Wanting to stay true to the character, I decided to make his mask more destroyed, leaving more of his skin exposed. I painted lines around the head on where I wanted the mask to end and skin begin. 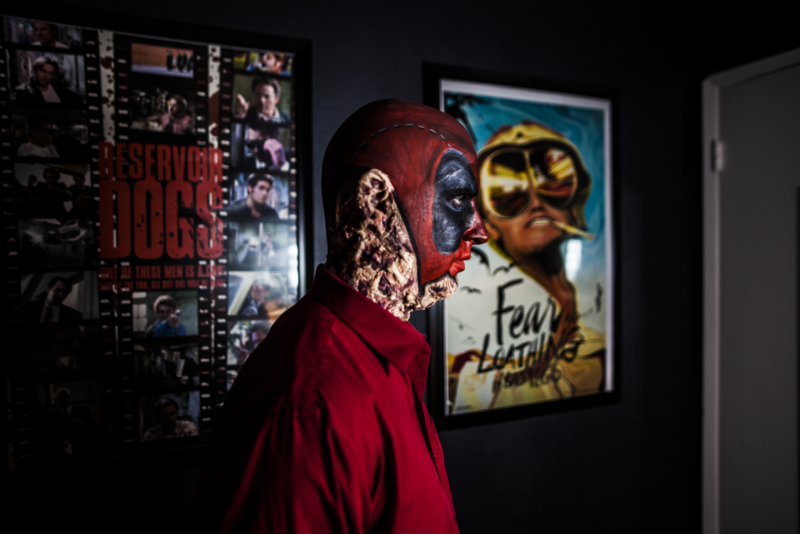 After finishing his skin, I painted his mask using several coats of body paint. Even though we ran into a detail issue and I had to adjust my makeover, I do not look at this as a loss. This was a trial makeover and practice for the real makeover for the short film. I would much rather learn from my mistakes than run into issues on the day of the shoot. Stay positive and don’t freak out when things don’t go your way. 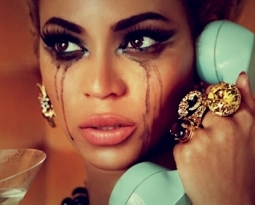 Some of the most famous makeovers of all time were created “by accident”….or at least created by an artistic idea. Bottom line, learn from your mistakes or learn to work with your mistakes. If you would like to listen to your inner awesomeness that’s telling you to take a whack at my Deadpool Makeover, my instructions are below. 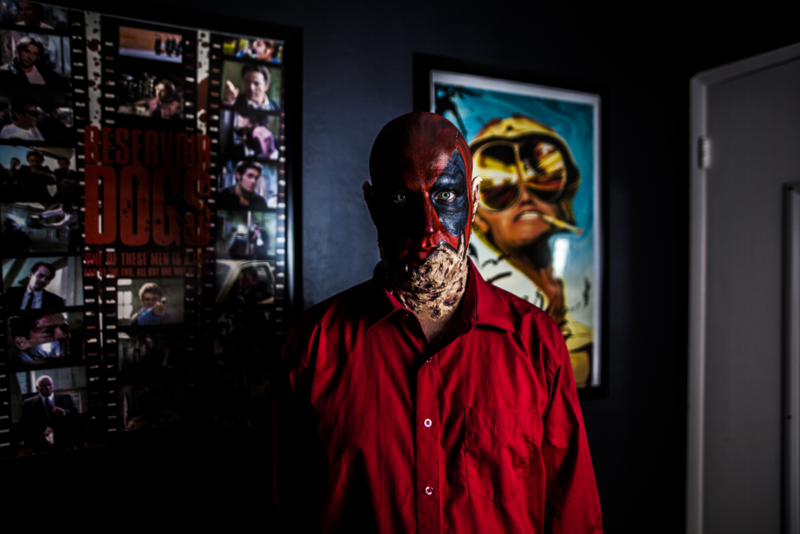 Enjoy guys and don’t forget to check out the short film and see the difference between my first Deadpool makeover with Andrew verses the Actor’s Makeover for the film. 1. Using the hair brush, hair gel, and hair spray, smooth down the hair as close to the scalp as possible and let dry. 6. Apply the bald cap to the model making sure it’s secure. While having the model hold down the sides, peel up the front middle section and apply a small amount of Prosaide. Peel the cap back over the glue and let dry. This is creating an anchor. 7. Again having your model hold the sides and tilt their head back towards you, peel up the back middle section of the neck. Apply Prosaide and stretch the cap down, letting the glue dry and be your 2nd anchor. 8. Choose a side and have the model tilt their head toward you for the side you are securing. Again, peel up the fabric below the ear and apply Prosaide. Stretch the fabric over the glue and let it dry. 10. Check your anchors making sure all 4 are secure. Apply more glue if needed to any areas that seem to be insecure. 11. With your paint brush and acetone, paint the acetone around the edge of your bald cap where it meets the skin, making sure that the fabric is melting down onto the skin smoothly. 12. Mix your water, glycerine, and gelatin powder together. Heat for 10-15 seconds in the microwave. Once all melted, stir making sure that all ingredients are thoroughly mixed together. Let cool, not solidify. 13. Take a spoon and pour a small amount of gelatin onto your hand to test the temperature before applying any to the model’s skin. 14. Once you have confirmed that the gelatin is cool enough to apply, use a spoon to apply the gelatin to the model’s face where you want the exposed skin to be. 16. Taking a cotton ball, pull the fabric apart, separating the ball into finer, thinner, flatter pieces. 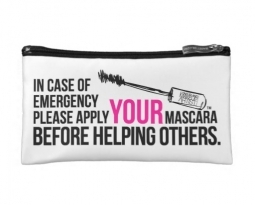 Do not pull completely apart. Your goal is to create something that looks similar to those fake cobwebs you see hung up on Halloween. 17. Place your fake cobwebs onto the gelatin, they should slightly stick. Using a brush and liquid latex, paint over the cobwebs. It gets really sticky so use your fingers if it’s easier. 18. Use the hair dryer, again on the cool setting, to dry the skin.